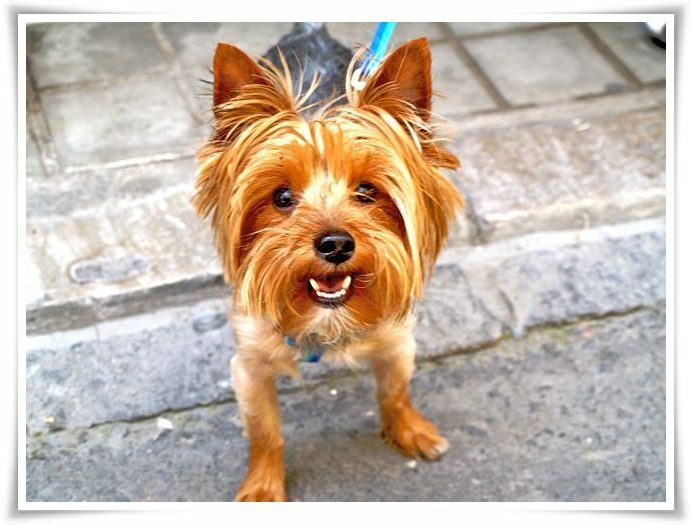 The Yorkshire Terrier is little size dog breed from terrier type. This dog breed was developed during the 19th century in Yorkshire town, England, for hunting rats in clothing mills. ⧪ Yorkies are known for their long, flowing, silky coats, which swish around the show ring and they coat has a similar texture to human hair. ⧪ Although not a particularly old breed, these tiny dogs were one of the AKC'S original breeds. Yorkshire terriers became registered in 1885. ⧪ Yorkshire terrier are small dogs, weighing an average of seven pounds, but it seems like no one told them that.